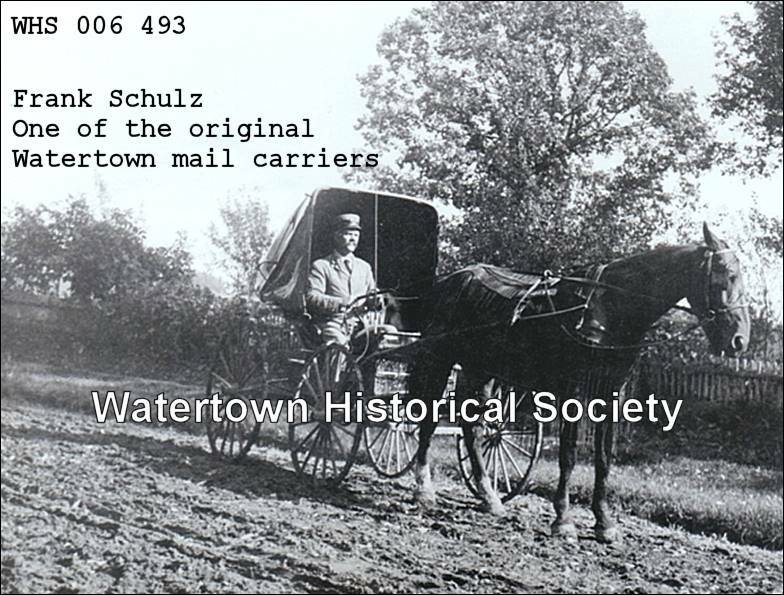 Frank Schulz is mentioned as one of the original Watertown mail carriers and in the below two images is wearing a hat with a #3 on it. Cass Green was the husband of Mary Alice Richards, daughter of John Richards. 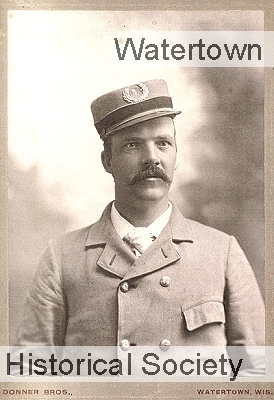 Postmaster Rohr is William Henry Rohr, son of a tailor and one time school teacher. 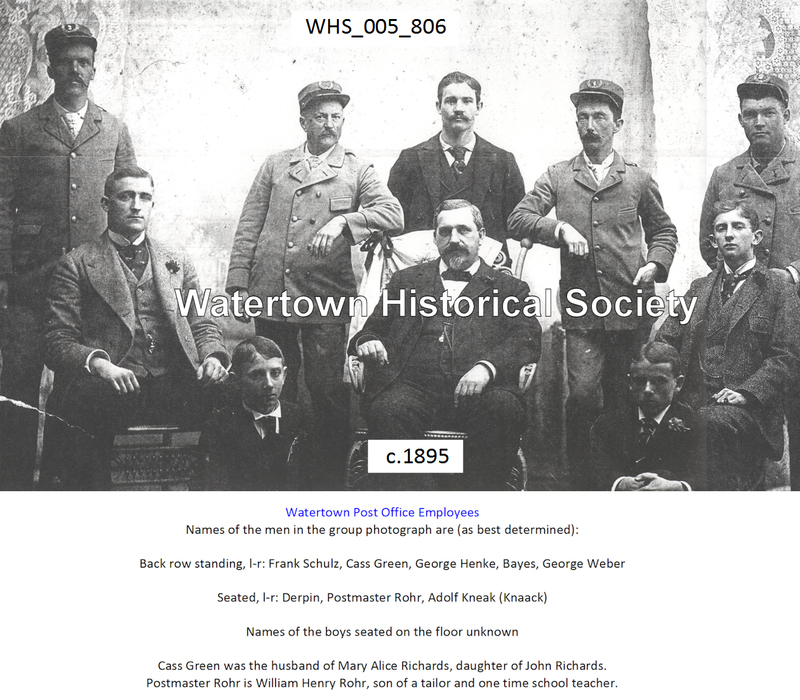 1906 December 5, 1906, was the fourteenth anniversary of the 1892 establishment of the free mail delivery system in Watertown. A fact in connection with the same is that George Weber and Frank Schulz, present carriers, have been in the service ever since the inauguration of the system. They were two of the original four. About 11 o’clock last night Frank L. Schultz [Schulz], a former city mail carrier, was found leaning forward impaneled on the picket fence of Mrs. Frederick Wagner, 315 Seventh Street, just one block west of Mr. Schultz’s home, his intestines being perforated by the pickets. It was with considerable difficulty that he was taken from the fence. He was immediately taken to his home and a physician sent for, but before the arrival of the physician Mr. Schultz had died. He was 52 years of age and is survived by his wife, four sons and four daughters. At this writing no arrangements have been made for his funeral. Mr. Schultz was well thought of in Watertown by a large acquaintance, and his tragic ending is greatly regretted.